I'm setting up ReactOS 0.4.4 for the first time. Installation process was successful at first sight. 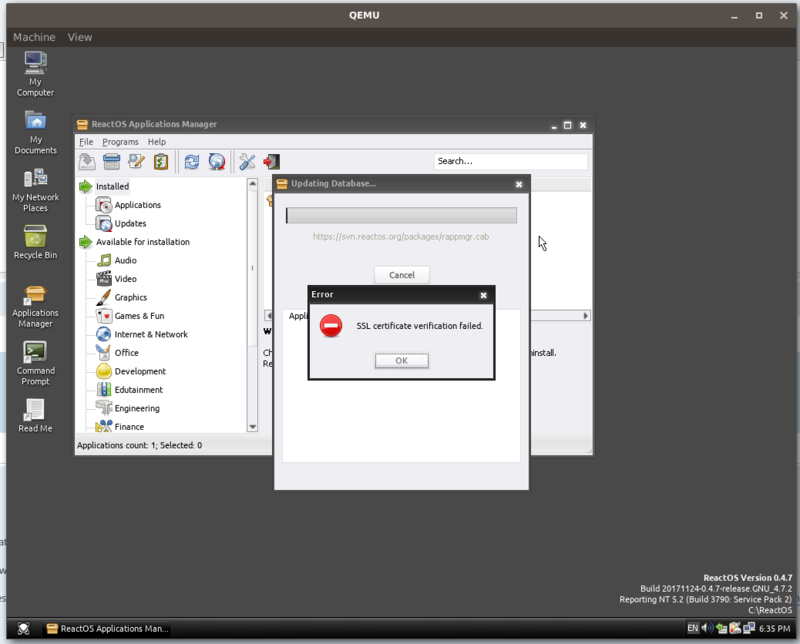 At the Application Manager, when I choose a category on the left, a downloading window apperas but then stops with a message error about failing to pass SSL certificates. I didn't find other posts on this forum about this issue. I'd appreciate any help. Thanks in advance! 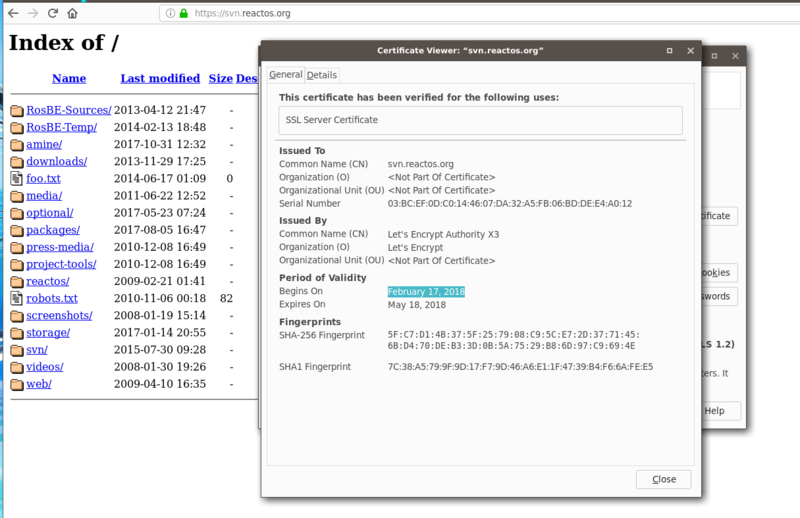 Checking the actual SSL certificate for svn.reactos.org it seems to have been renewed on the 17th. Or in other words 3 days prior to this thread starting. Search function is your best friend. EmuandCo wrote: Search function is your best friend. Ah, thanks. I just tried googlig stuff like "ReactOS Application Manager SSL" and all I found was this blog post. JoesRoom wrote: That Jira page does nothing other than acknowledge an issue. It's actually marked as resolved. If you're willing to run one of the daily builds, that should work as far as I've understood. 0.4.9 Nightly does indeed have a functioning App Manager! Not without replacing or recompiling the affected libraries, no I don't think so. But you're not using ReactOS in any production environments, right?